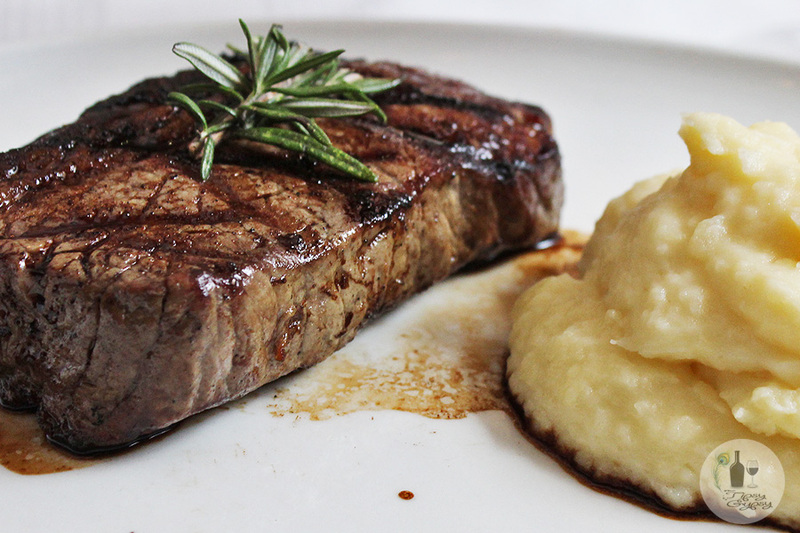 Want to enjoy a juicy, tender steak at The Hussar Grill, but funds are a little low? Then their lunch special is your answer! Two courses for under R150! 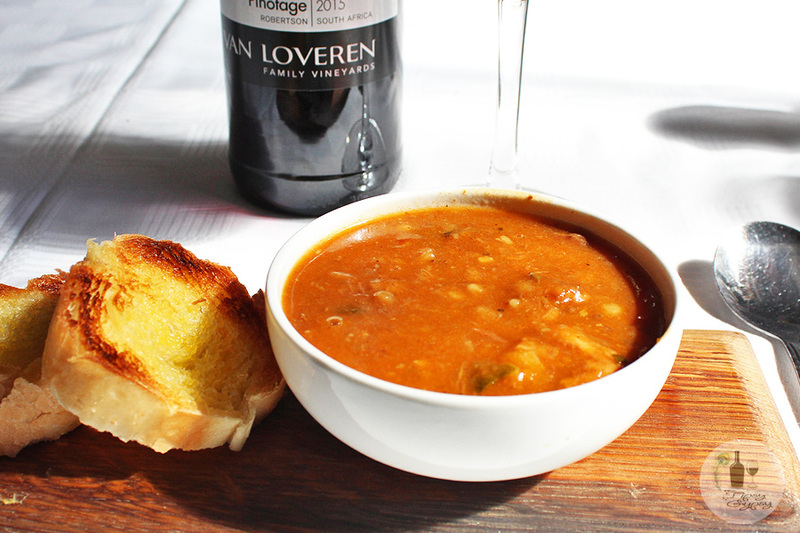 You can enjoy a two-course lunch for under R150! There’s a choice of starters and main courses, including steak. Plus, the Hussar Grill doesn’t charge corkage, so you can take your own bottle of wine along too. Their lunch offer is available Monday to Saturday, from 12h00 to 17h00. The Hussar Grill is famous for two things – their steaks (which are never well-done, it just isn’t an option) and their no-corkage fee policy. Their steaks are famous for a reason and now you can enjoy a 200g sirloin or rump, with a starter for R130 from 12h00 to 17h00, Mondays to Saturdays. 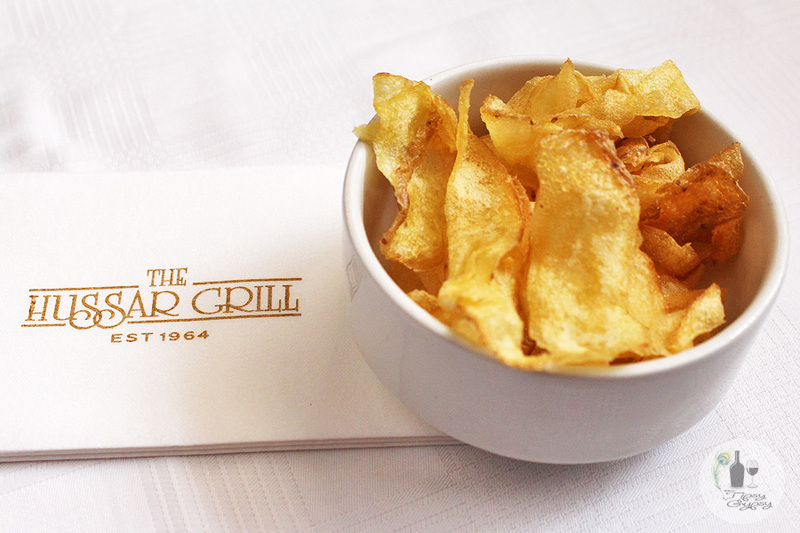 They even throw in a bowl of hand-cooked crisps into the deal so you have something to nibble on while you decide which starter and main you are going to tuck into. Tomato soup topped with cream, served with 3 croutes on the side. Peri-peri chicken livers sauteed in sherry, garlic, onions, mixed herbs and cream, served with croutes. 200g Rump / Sirloin (Class A) served with tradtional fries, mash or baby potatoes. Parmesan chicken served with mash. 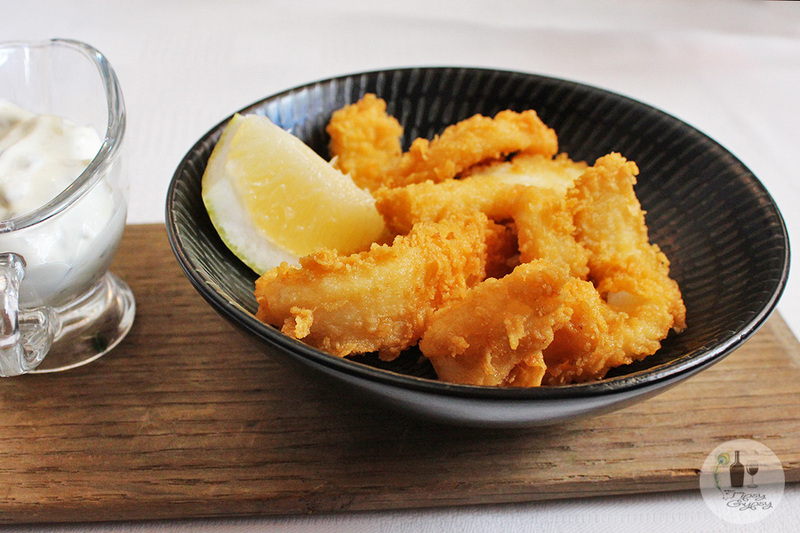 Fried calamari served with tartare sauce. I have enjoyed this offer twice to date and can recommend the tomato soup and calamari strips for starters and the rump or sirloin steak. For some reason I can’t bring myself to try any other main course option! What’s so special about The Hussar Grill steaks? Their butchers and game farmers source only South African Class-A grain-fed beef and wild game cuts for their menu. The Hussar Grill owners and management staff are passionately involved in the maturation, trimming and preparation of all grills each day. Their beef is hung on the carcass for up to seven days, before being wet aged in their cold rooms for varying periods of up to thirty-five days. All of their cuts are also brushed with their signature basting. Although their wine list is fairly extensive, you are also welcome to bring your own wine with absolutely no corkage charge, ever. Why? Because they would rather you spent your money on a good steak instead! Whilst the Hussar Grill in Rondebosch has this lunch offer, it is not open on Saturdays for lunch.